This public square is at the confluence of four roads: Cristóvão Colombo Avenue,Getúlio Vargas Avenue, PernambucoStreet and Antônio de Albuquerque Street. Diogo de Vasconcelos was a prominent art and culture conservation activist. The square is a popular meeting place with the locals, and thus a great place for people watching. Most of the crowd is young. There are number of cute cafes, bars and boutiques around. Live music or dance performances or other events are a regular sight at the square. There is an underground parking. How popular is Praca Da Savassi? 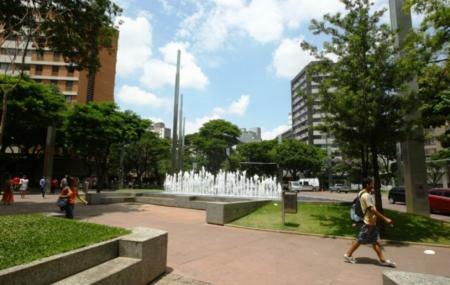 People normally club together Memorial Minas Gerais Vale and Centro Cultural Banco Do Brasil Belo Horizonte while planning their visit to Praca Da Savassi.